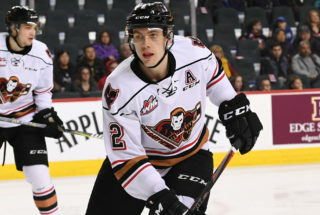 As the Hitmen get set to face-off against the Seattle Thunderbirds Friday night, the game will be extra special for Carl Stankowski. 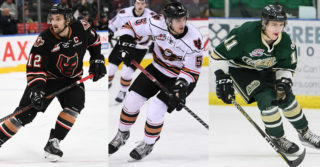 He did after all get his start in the WHL with them. “I’ve had this game marked on my calendar for a long time,” he said. “I’m pretty anxious to go there and play against some of my old teammates. 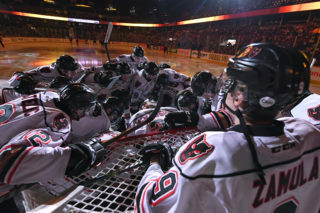 It’s going to be really fun and exciting to go back in that barn. It’ll bring back a lot of great memories. 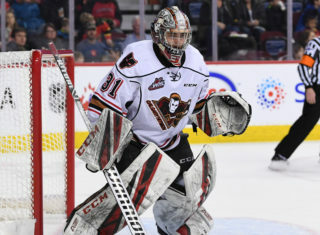 Not only did the now 18-yer-old netminder start his junior career in Seattle, but he also led the club to a WHL Championship in 2017 when they defeated the Regina Pats in six games to capture the Ed Chynoweth Cup. It was a special moment and there couldn’t have been a better way to end his rookie year. Friday night will mark the first time Stankowski will play in the accesso ShoWare Cente, after missing the entire 2017-18 season due to injury. There are always those nerves of going in to play against your former team, and the Laguna Hills native isn’t quite sure of what to expect from the Thunderbirds faithful. “We’ll see what happens, they usually boo the other teams’ goalie so I don’t know what to expect,” he laughed. “It’s an easy rink to play in when you are on the home side because the fans are always into the game so it’ll be interesting to be on the other side of that. 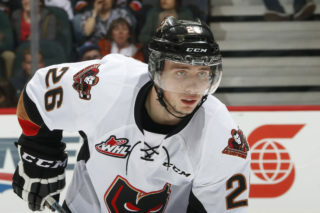 With 14 games with the Hitmen under his belt, Stankowski has been on a roll as of late as he has won three of his last four starts. In addition, he’s stopped 71 out of his last 74 shots which have included some highlight-reel saves. “I thought it would be a little bit easier getting back into the rhythm of things,” he said. “It’s definitely something new getting used to missing a whole year to now getting back to the level I want to be at.